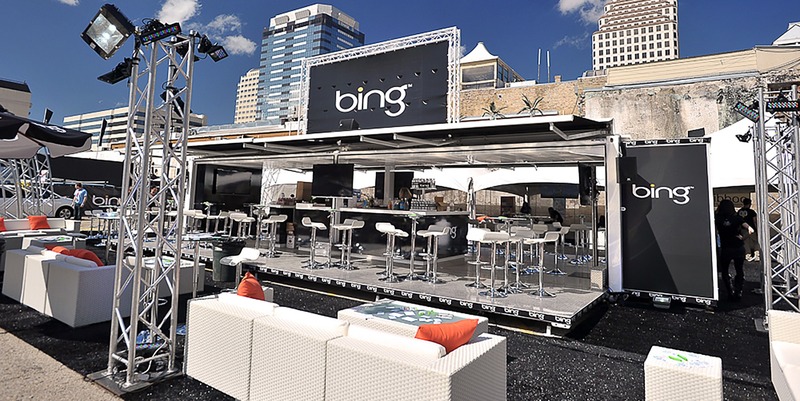 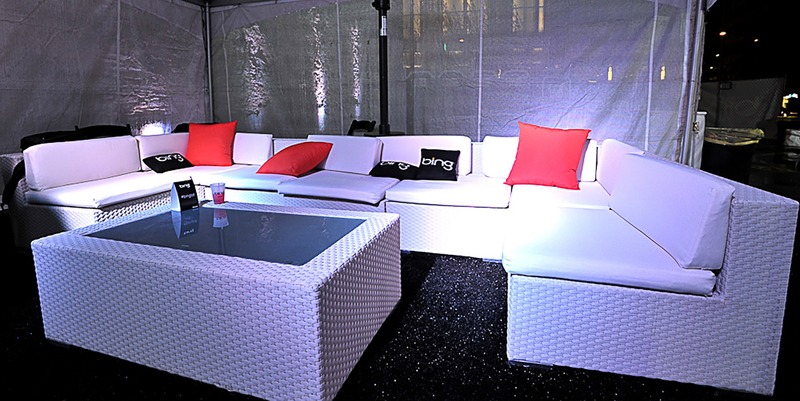 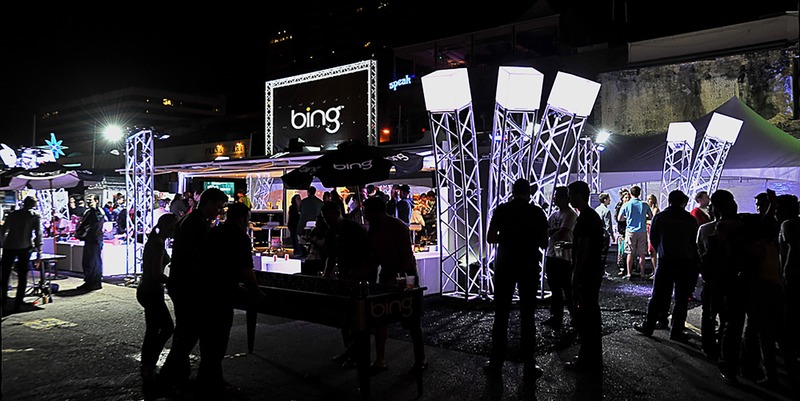 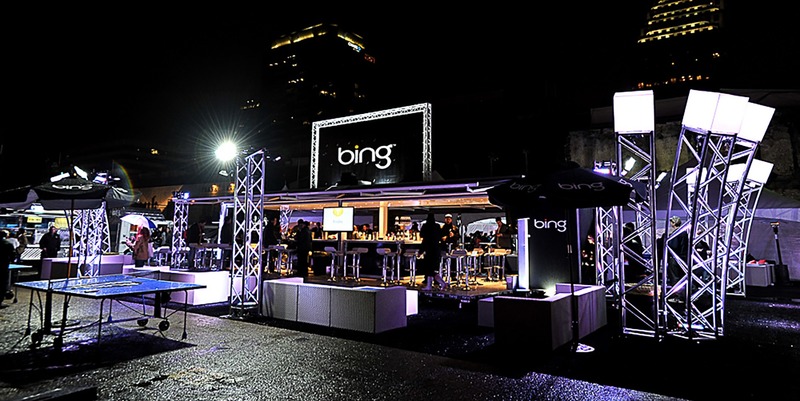 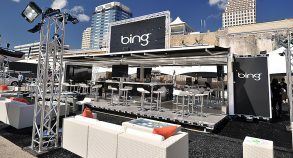 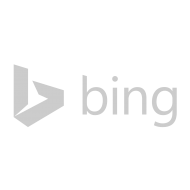 Steel Space Concepts teamed up with the Microsoft search engine Bing to put together an unforgettable project as part of the wildly popular South by Southwest festival held in Austin, Texas. 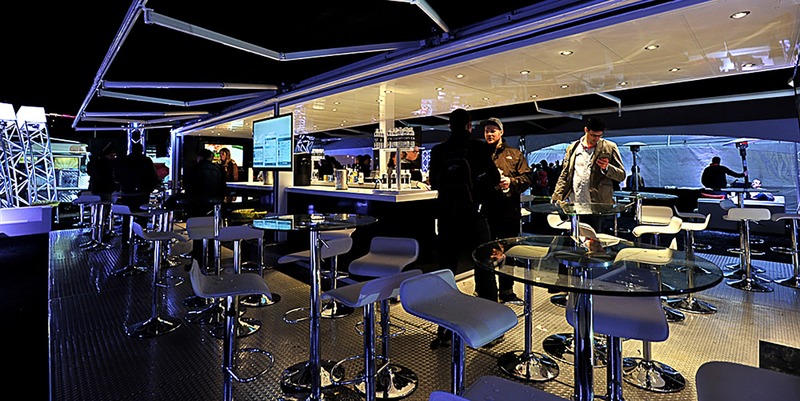 For this exceptional event, Steel Space Concepts fitted out a 10,000 sq. 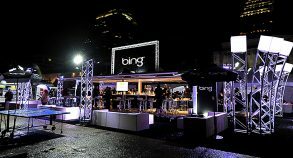 ft. Bing Lot with a fully-branded Steel Space 40 unit complete with VIP lounge, photo booth, central bar, table tennis and table football. 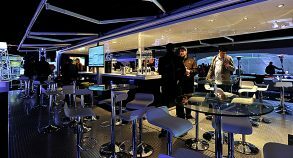 You could also find in the unit a charging station for laptops and mobile phones and Direct TV all while accommodating more than 200 seated spots. 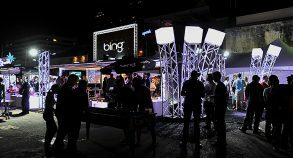 The lighting design and display was worthy of a concert show, attracted attention and created incredible atmosphere. 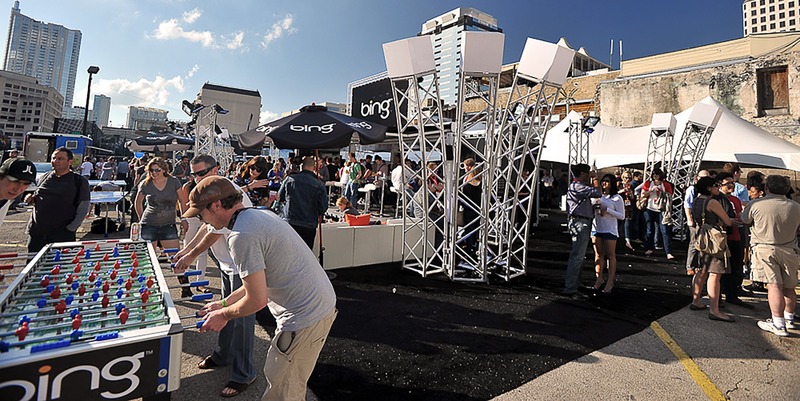 It was a popular hangout for young professionals and visitors in search of excitement. 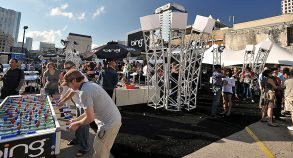 It was buzzing with fans from morning until night. It’s safe to say that Steel Space Concepts delivered everything the festival crowd wanted and more!